Sterling Silver Northern Lights Earrings by Metal Arts Group. One of the most enchanting phenomenas of our world, the Aurora Borealis is a natural light display caused by the collision of charged particles. Many Northwest Coast tribes associated this light to signs from the heavens, representing both animal and human spirits dancing among the stars. 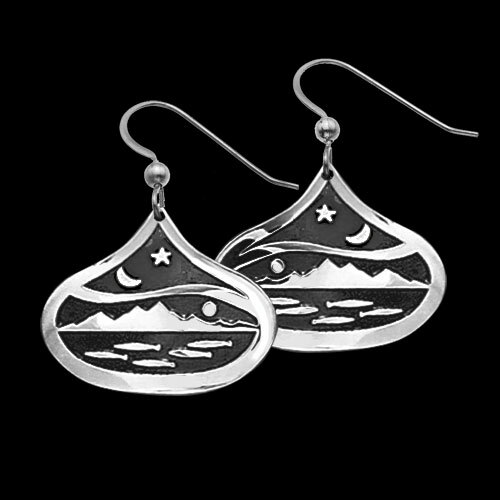 0.7 x 0.9 inch Sterling Silver Northern Lights Earrings by George Estrella. Made in USA.